Minecraft grew tiring to me after awhile. It has all the fundamentals of a perfect sandbox game, yet overtime it became increasingly clear to me that it was severely limited by it's 16-bit operations. Playing through alpha and beta as it grew into the game it is today was a fantastic experience, but they lost me after they added "The End". It felt like Minecraft was suddenly trying to do something it wasn't designed for. Trying to force direction into a game that was originally open-ended made the entire experience fall flat for me. I feared a guided sandbox game just couldn't work in practice. 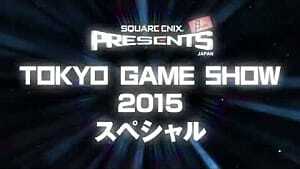 Boy did Square Enix prove me wrong. 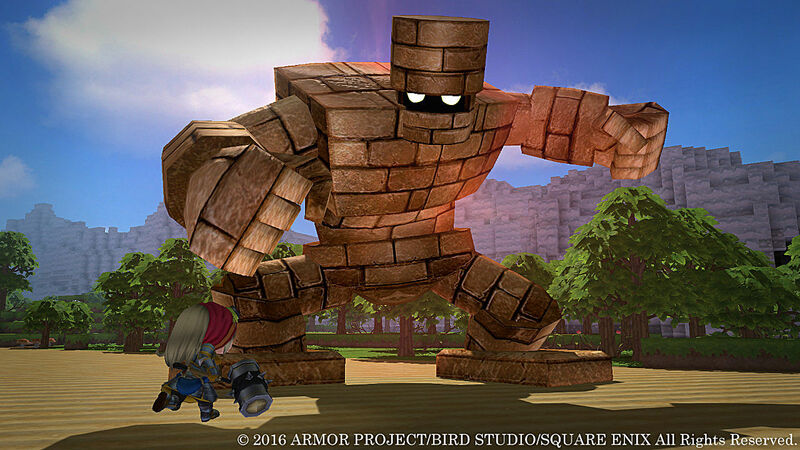 Dragon Quest Builders is Square Enix's first go at the sensationalized sandbox genre. 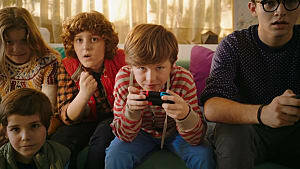 They meticulously blended a fully destructible, malleable, sandbox environment with a story-driven, action RPG experience, resulting in a compelling, ever-expanding adventure. Before we dive into the meat of this review, I'd like to note that this is the first Dragon Quest game I've ever touched. 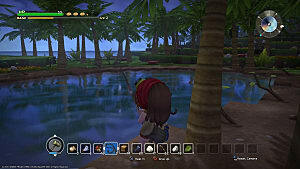 I went into Dragon Quest Builders with no expectations and was pleasantly surprised with the charm and crass humor awaiting me. The throwbacks to the original Dragon Quest game are sure to enhance the overall experience for any longtime fans of the series. 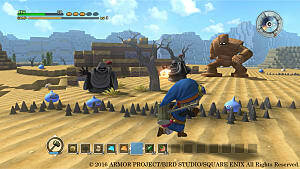 Dragon Quest Builders provides a smooth gameplay experience, seamlessly flowing from building up your city's defenses to fending off assaulting hordes of monsters. In my 20-odd hours of play I have yet to encounter a dull moment. Even gathering materials is a blast (sometimes quite literally). Shortly after the start of the game you earn a spin attack ability, which you can then cleverly utilize for gathering insane amounts of blocks and materials. I cannot describe how immensely satisfying it is to swing your mighty hammer a few times and collect half a stack of coal. From early on, Dragon Quest Builders gives you the sense that anything you see can be gathered, but I've found that feeling rather misleading. Some blocks and items you break won't drop any materials. Sometimes coming back with explosives or stronger gathering tools allows you to mine out the item, but other times you just can't get anything from it. This conundrum made it confusing to discover certain materials, such as stone. 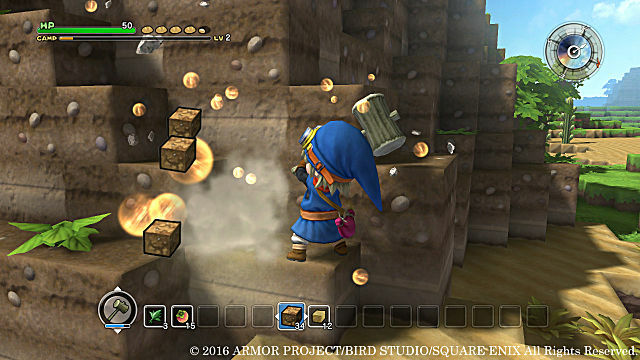 The crafting system is masterfully executed in Dragon Quest Builders. Every crafting recipe felt completely fair. Never did I feel that I invested too many or too little materials for the resulting product. Even monster drops are commonly used in recipes. The best part, though, is that you don't need to have your crafting materials in your inventory to make something. You can use your materials from any crafting station on the map so long as they are stored in some type of chest. Combat itself is rather simplistic. Monster encounters (excluding boss fights) revolve around avoiding damage while mashing the attack button until any threats are terminated. You may choose to instead hold the button for a spin attack, though in most situations I've found it charges too slow to actually be of use in a tight spot. However, combat does have a solid tempo and flow, so there's never actually any unfair moments. Certain monsters are driven to break blocks and grief your creations, so you'll eventually need to prepare traps and barricades to protect the city against assaults. There is a plethora of furniture and blocks to build with, allowing you to get crazy with your towns and make it as beautiful or terrifying as you wish. Of course, you could opt to build only enough to get through the villager quests, though experimenting with the Room Recipes is a great way to earn yourself passive buffs. Building rooms that match Room Recipes will turn a quiet town into a bustling one in no time. Workshops you create will inspire villagers to craft, and when they do, they'll leave the fruit of their labor in a chest for you to benefit from. You'll never need to worry about going hungry with a kitchen in your city. 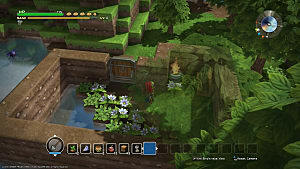 Some rooms even provide passive buffs, such as the Herbalist's Workshop, which amplifies the effects of healing items. The only spot where the gameplay actually stutters comes with the nontraditional control scheme. It's not awkward by any means, but it's not your average RPG scheme either. I quickly became accustomed to it, though, and the controls didn't remain a problem for long. The camera, however, is a bit frustrating at times. Particularly in tight spaces. It essentially enters first-person mode without any first-person controls, which is disorienting when you're so used to looking over your character's shoulder. 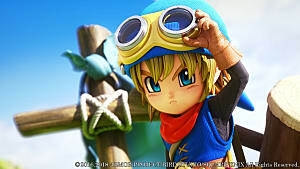 Dragon Quest Builders' story is split into 4 Chapters. 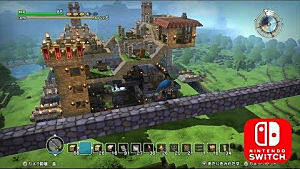 Each new chapter acts as new world, with another town to rebuild and more to explore and accomplish. At first, the very thought of abandoning my town was dreadful, but after exploring Chapter 2 for a time the entire system stole my heart. For starters, each Chapter uses different save files. You may come back to your cities at any time and continue working on them and learning recipes -- even after purifying that world of its ailment. Dragon Quest Builders' story masks an ongoing tutorial of its numerous sandbox elements, yet none of it even remotely feels like a tutorial. But what's most impressive is that every Chapter is different. You're not repeating the same basic process four times in a row. Each world has different materials available to take advantage of, requiring you to learn new recipes to survive in the hazardous environments. The buildings you prioritize in each chapter will be vastly different from the last. As if that wasn't enough, the story and focus is unique in each chapter, and thus the villagers will request different things -- you'll learn to do and build things that you never could have in the previous chapters. Dragon Quest Builders' story masks an ongoing tutorial of its numerous sandbox elements, yet none of it even remotely feels like a tutorial. The story is largely expressed through the wishes and whims of your many villagers. They lost the ability to build generations ago and live off the land much like animals. On the flip side, the monsters are expert craftsmen. At times you may even need to consult them to learn new crafting recipes. It's the builder's responsibility to resolve the villagers' issues while simultaneously building the city back up to its former glory. Along the way you'll learn a steady stream of new crafting and room recipes used to build up your cities into the envy of monsters around the world. Each map is entirely hand-crafted. After you've played every chapter, you've pretty much seen it all. However, the experience of Dragon Quest Builders is far more cohesive and balanced than a procedurally generated one could ever hope to be. 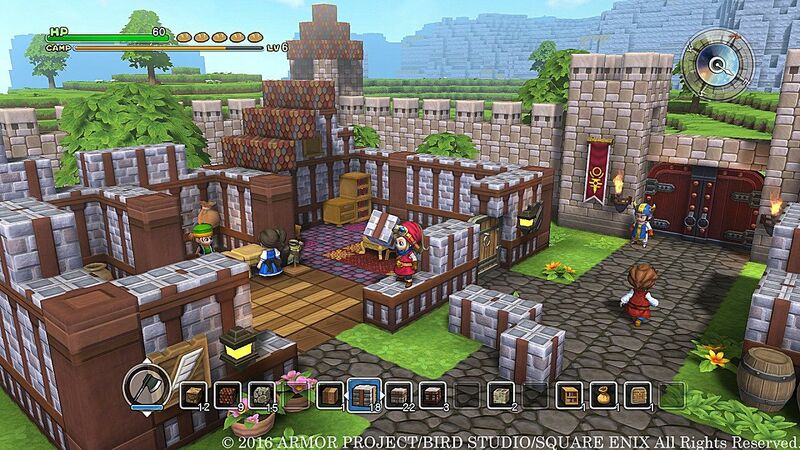 Dragon Quest Builders also houses a creative mode of sorts, aptly named Terra Incognita. You're not granted unlimited blocks, and you're still required to mind your health and hunger, but you have an entirely peaceful island to build upon to your heart's content and various portals that lead off to resources and monsters found from each chapter. All crafting and room recipes must first be learned in one of the four chapters before they can be utilized in Terra Incognita. Even if city building is all you're after in Dragon Quest Builders, you'll still need to fully complete the game to gain access to everything. Unfortunately, this game also lacks any sense of multiplayer. While you can download and upload cities in Terra Incognita, you may not adventure with your friends. Unless you're a creative soul, Dragon Quest Builders doesn't offer a lot of replay value. But that's okay; it is a singleplayer RPG first and foremost. The music of Dragon Quest Builders is unforgettable. I've already found myself whistling and humming various tunes while preparing coffee or washing dishes. Square Enix covets their music in their recording guidelines, and I can't say I blame them. This is some pretty phenomenal stuff. 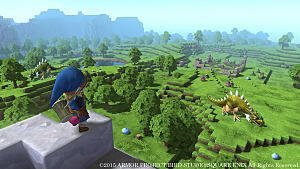 After watching Dragon Quest Builders' animated trailers, I was worried the blocky appearance of the landscape would clash with the cute artstyle. Seeing it in action has relieved my doubts, though. It actually blends together rather well. On the PS4, the game ran at a smooth framerate. Throughout my time playing I never encountered any noticeable stutters or slowdowns. 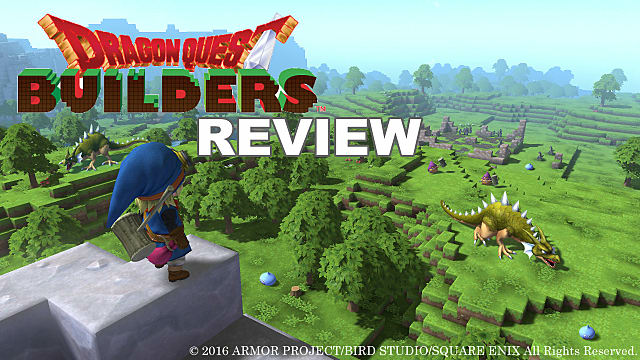 Despite lacking multiplayer and having frustrating camera controls in tighter spaces, Dragon Quest Builders is a gripping sandbox RPG with charming characters, satisfying gathering and building mechanics, and a simple story that's easy to get invested in. 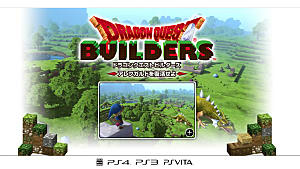 If you're a fan of RPGs and have trouble getting into sandbox games like Minecraft, look out for Dragon Quest Builders coming to PlayStation 3, PlayStation 4, and PlayStation Vita on October 11th. Note: Review copy supplied by Square Enix. Dragon Quest Builders is the sandbox game RPG fans have waited 6 years for.